Here at Machine Tools Online we do come across some cool mchinery in the industry. From classic refurbishments, to massive rigging and transport projects and robotic automation, we geek out over machine tools every week. Check out before and afters of refurbished lathes, refurbished milling machines, refurbished press brakes, refurbished guillotines and more. We will also post pictures of anything huge, fast, automatic, CNC or just plain awesome to see. Check back every now and then as we add content. 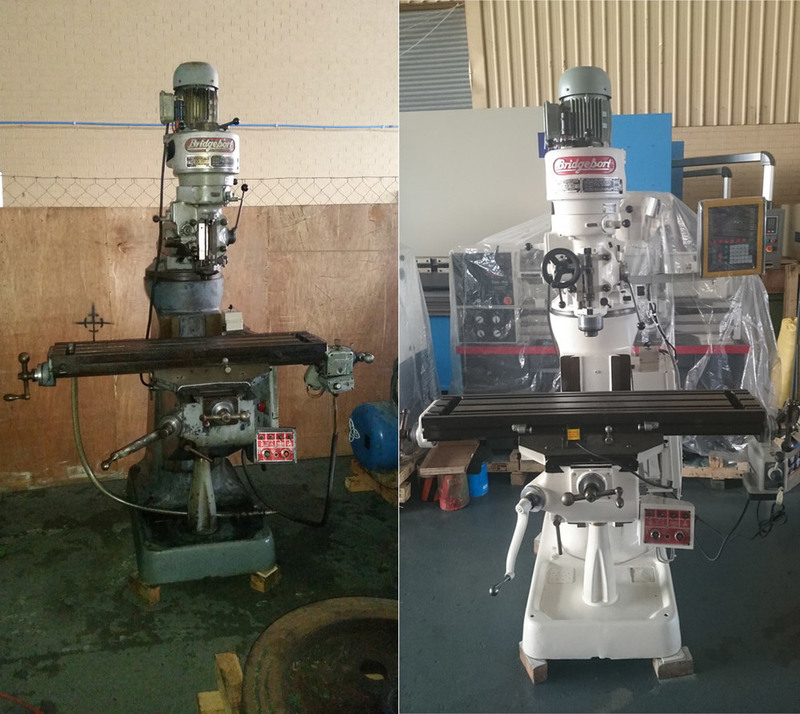 MTO Before and Afters - restoring used machine tools for clients. Electrical and mechanical work, new X axis power feed, new 3 axis DRO. Paint and clean. Electrical and mechanical work including refurbishment, clean and paint. Electrical and hydraulics check, clean and putty, paint. In excellent condition. Refurbished and hydraulically, electrically tested, this used surface grinder is in excellent condition. Machine Spotting - see our machine tools and those of our partners in the wild. See our new machine tools and used machine tools on the road, in the air (!) and in the factories where they reliably cut, bend and shape metal for our valued clients. From CNC hydraulic pressbrakes, plate rolls and plasma cutters to milling machines and hydraulic guillotines our machines and those of our partners pop up in some strange places! An awesome picture of our Probend Rapidfab CNC Hydraulic Press brake being rigged into a particularly difficult access. Click to view our Probend Rapidfab specs. This is how it's done on the farm! 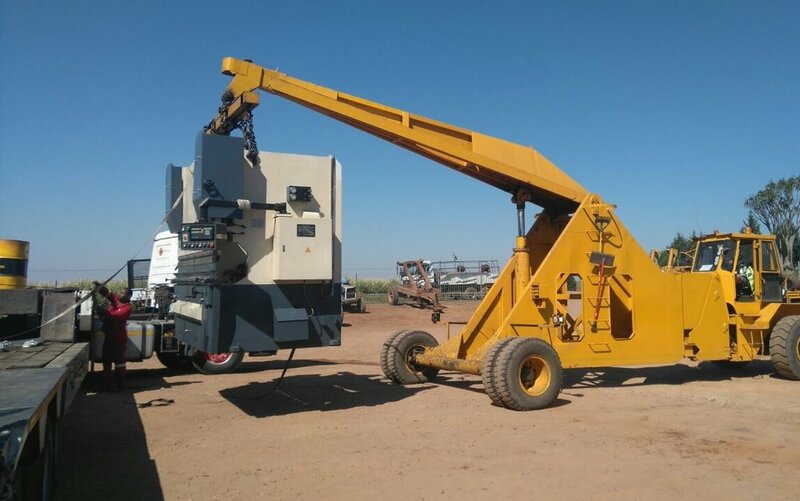 One of our valued clients offloading his re-conditioned ACL 200 ton x 3200mm pressbrake with DRO using a sugar cane bundle crane - capacity 14 tons. A shot of our Probend Easyfab 3100mm x 120 ton CNC hydraulic pressbrake lurking in an industrial park. To view the specs on our Probend Easyfab pressbrake click here. The long trek starts for one of our Proshear CNC guillotines. This machine will join two laser cutters at a very busy engineering works. Click for more info on Proshear CNC.